Let’s be clear. “No,” is a perfectly acceptable answer to any recommendation that you aren’t on board with. 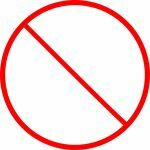 Birth professionals often remind parents that they can decline anything they want, and that “‘No’ is a complete sentence.” It’s true! You aren’t obligated to explain yourself, when declining something. At the same time, sometimes this approach can set up a tension between you and the people caring for you, that might be undesirable. It’s your provider’s responsibility to make sure that you understand why an intervention is being recommended, the benefits and risks of that intervention, and to ensure all of your questions have been answered about it, before you consent to it. Saying “no” is legitimate, and.. what if you just need more time? What about when you need time to develop your questions, so that you can make a more informed choice? You might need more tools. Get the information you need so you can decide with confidence. What else can you say besides “no”? Asking for more time can offer you several things, depending on how you use it. Perhaps you need more time to think about what’s being recommended, or time to talk with your partner about it. Maybe you just need time to catch your breath, as the change of course raises emotions that require (and deserve!) space to be felt, before you can think through the choice in front of you. Barring a true emergency, you can almost always ask for more time. Sometimes a provider will recommend a change in plan while they are making rounds, or checking on patients during their lunch hour, so their time is limited. You may have to decide quickly if you want to catch that window, and you could also decide that you’d rather wait a few more hours for them to return in the evening before going forward. It’s up to you to weigh the information and make a choice based on your understanding, and goals at the time. This is a great mnemonic that can help you drive deeper into the information and help uncover information that can help you decide. This tool is great in labor, in parenting, with your mechanic… it never expires in its usefulness! What are the Benefits of this recommendation/intervention? What does my Intuition say? What is my gut reaction? I’d like everyone to step out so that my partner and I can chat. I haven’t yet met a provider (which isn’t saying that they don’t exist) who doesn’t want you to be really clear and consenting to their recommendations. Asking for more time is your right, and it’s a small request that can make a world of difference for you. Processing your feelings is oftentimes the first step toward determining what you need to do next. A little privacy to process the change in course can help you say yes, when, if you hadn’t had that time, you might have said no (or vice versa). Perhaps it’s difficult to determine your questions with everyone staring you down, and you’d benefit from a moment to think it through and use your B.R.A.I.N, to develop your questions before deciding. I’m not convinced that this intervention is right for me. Sometimes recommendations can feel a little impersonal, and more one-size-fits-all. Asking the provider to help you understand why this is intervention makes sense for you is a great way to help them to get more connected with you, and to to think past the problem that needs solving. Give your provider the opportunity to approach their explanation from another direction if the information they’ve provided thus far doesn’t lead you to a clear decision. What options are we not exploring? Sometimes the birth space will have people with other expertise, whose voices haven’t been heard in context to the issue at hand. Maybe there’s a friend in the room who confronted this very choice. Perhaps you have a doula who is also a chiropractor, or your midwife is in attendance and she has a physical therapy background. There could be a wealth of other perspectives in the room, don’t miss out on hearing those voices as well! Sharing ideas is not the same as giving advice. Remember- you are responsible for the things you consent to, just as your provider is responsible to make sure you are clear on what you are agreeing to do. Other folks in the room are not responsible for the outcomes, and should not necessarily make recommendations, but can offer another lens from which to view the decision at hand. Perhaps your labor has stalled and your friend the acupuncturist has some ideas on acupressure points to try before you agree to a medical option, for example. What do I need to know in order to say yes to this? We already know that if we simply don’t want to do something, we can say no. We don’t need a reason, we just.. say no. Saying yes can be more challenging, so being able to identify what things you would need to know in order to say yes can help clarify the questions you might have. I often ask this question of clients after providers have left the room, to help them focus on what the obstacles are between them, and the clarity of their decision, either way. Sometimes there is absolutely nothing they need to know- they are very clear on how they feel about the recommendation. Sometimes they are unsure, they feel they should say yes but aren’t sure why they are reluctant. Thinking through what those obstacles might be can help you decide if they need addressing.